Pearl Infinity I, originally uploaded by johnwmacdonald. 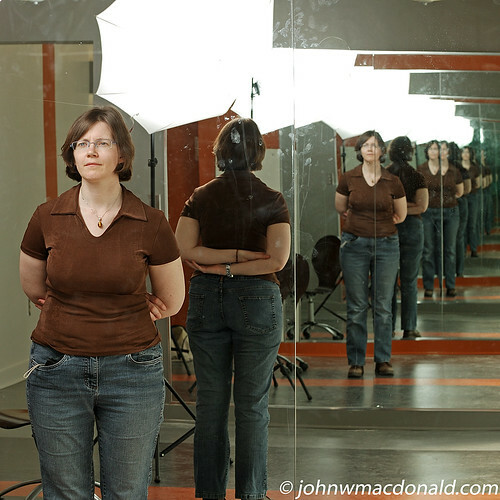 Poet, Pearl Pirie stands in a room with opposing mirrors. Pearl frequently writes on her blog www.pagehalffull.com/humanyms. She is the author of a recent chapbook of poems, 'Oath in the Boathouse' by above/ground press. 300 copies. $4 each. Here from Pearl. Great to see linked posts and by that on both side of the cam! Btw: Since new here: Hello from Norway - great blog!